Assalamualaikum. Hai semuaa! Sihat ke? Aku sihat Alhamdullilah. Cuma penat sikit this week. Like seriously busy. Okay. Maybe akan auto publish the next posts sebab weekend lepas boleh tahan tahap ke-busy-an nya macam mana. 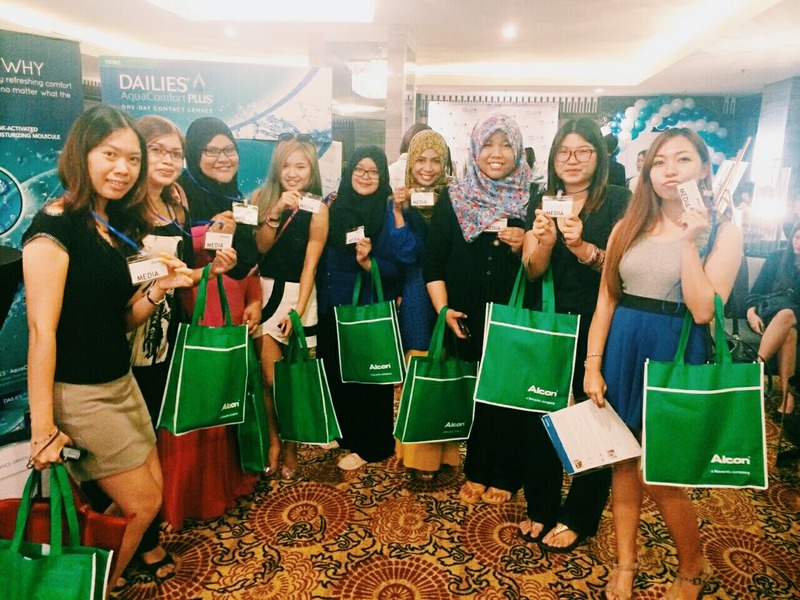 Pada hari Rabu (24 September 2014) yang lepas, telah berlangsungnya perlancaran product terbaru daripada Alcon iaitu DAILIES AquaComfort PLUS TORIC WITH BLINK ACTIVATED MOISTURE TECHNOLOGY di Majectic Hotel, Kuala Lumpur. Berikut adalah PRESS RELEASE daripada pihak Alcon. MALAYSIA, September 24, 2014 – Alcon, the global leader in eye care and second-largest division of Novartis, today announced the launch of DAILIES® AquaComfort® Plus Toric contact lenses in Malaysia. DAILIES® AquaComfort® Plus family of daily disposable contact lenses feature the proprietary Blink-activated Moisture Technology, designed to provide lasting comfort with crisp, clear vision until the end of the day. Blink-activated Moisture Technology continuously replenishes the lens surface, so moisture is released from the lens with each blink of the eye. This results in a tear film, which supports clear vision and comfort. The proprietary technology of DAILIES® AquaComfort® Plus family of lenses’ solves the #1 need of lens wearers - all day comfort across the most common vision correction prescriptions such as near and farsightedness, presbyopia and astigmatism. “Today, patients look for the most convenient and comfortable vision correction option available that best suits their busy lifestyles, particularly in a culturally diverse place like Malaysia,” said Ryu Trento, General Manager of Alcon’s ASEAN Cluster Vision Care. DAILIES® Aqua Comfort® Plus contact lenses also offer one of the most hygienic and easy-to-use options for contact lens wearers. “Daily disposable lenses have always been an ideal choice for many contact lens patients. By expanding into the astigmatic prescriptions, more patients can now enjoy the benefits of a daily disposable lens by simply putting in a fresh pair of DAILIES® AquaComfort® Plus Toric contact lenses every day, without the need for lens care,” Trento added. Some patients requiring vision correction may also have astigmatism. When a patient suffers from astigmatism, they may experience blurred vision, headaches, and difficulty with fine detail due to the shape of their cornea or lens in the eye. DAILIES® AquaComfort® Plus Toric lenses are a perfect solution for patients diagnosed with astigmatism, and who want the comfort and convenience of a daily disposable contact lens. DAILIES® Aqua Comfort® Plus Toric contact lenses are designed for an optimal wearing experience by the patient. The lenses feature Precision Curve™ lens design, with 150% more parameters, enabling Optometrist to better fit the majority of astigmatic patients. With the Precision Curve™ design of DAILIES® AquaComfort® Plus Toric lenses the lens utilizes the blinking pressure of the upper and lower eyelids to maintain lens stability therefore providing stable vision and comfort. Alcon also invests more than USD1 billion annually in research and development to deliver innovations that solve unmet medical needs. Their commitment to research and development is unparalleled in the private sector. In pushing innovation forward in the eye-care sector, Alcon also partnered with Google[x], a division of Google Inc., in July this year to research new ways to commercialize Google’s ‘smart lens’ technology. Sudah baca? Ke main skip je? Hahah. Gotcha! Okay macam ni. Basically Alcon telah memperkenalkan sejenis contact lens yang boleh diguna pakai semaksima 20 jam. Daily disposal. Means that, contact lens pakai buang. Dalam kotak tu cukup untuk 30 hari penggunaan taw! Sebab apa 20 jam? Sebab Alcon telah mencipta contact lens yang sentiasa moist untuk keselesaan mata. Setiap kali kita BLINK, dia akan moisturize. So, tak payah risau kalau contact lens tu cepat kering dan rasa tak selesa! 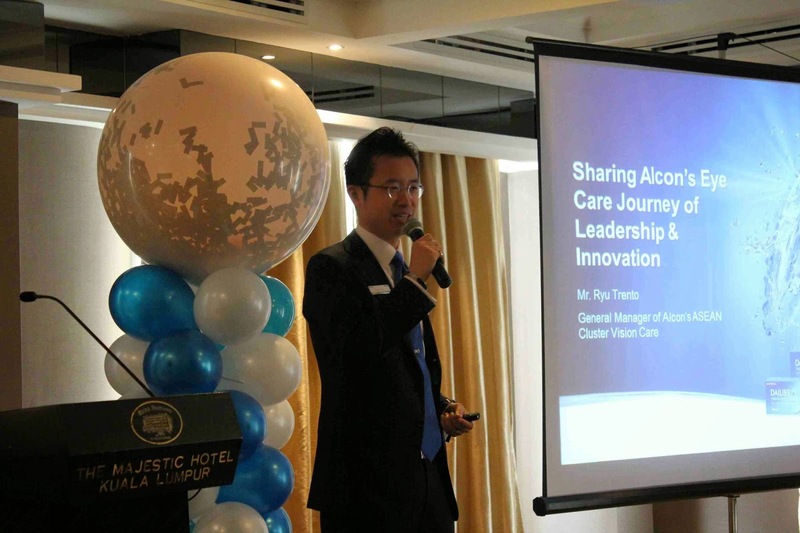 Mr Ryu Trento, General Manager of Alcon’s ASEAN Cluster Vision Care, presenting more on Alcon’s Eye Care Journey of Leadership & Innovation. 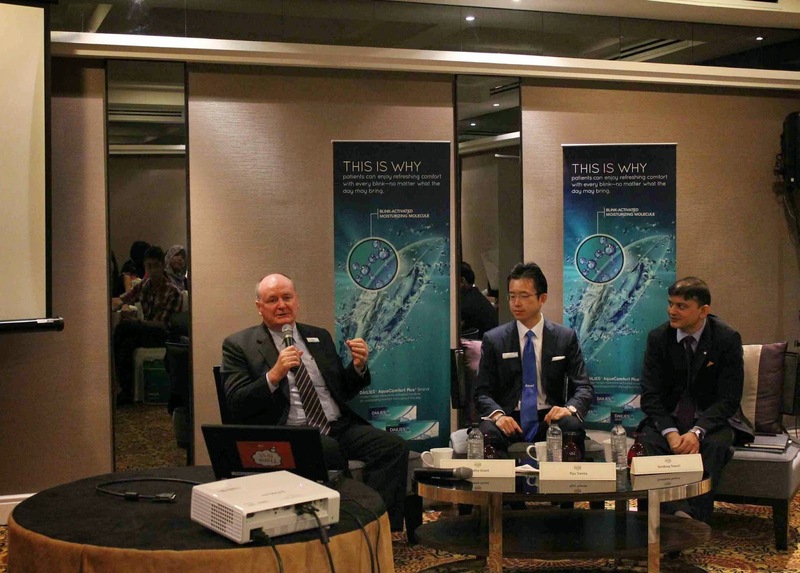 (from left) Mr Timothy Grant, Alcon’s Asia Head, Regional Professional Marketing, Mr Ryu Trento, General Manager of Alcon’s ASEAN Cluster Vision Care and Mr Sandeep Tewari, General Manager of Alcon Malaysia, briefing the media during the media briefing session. 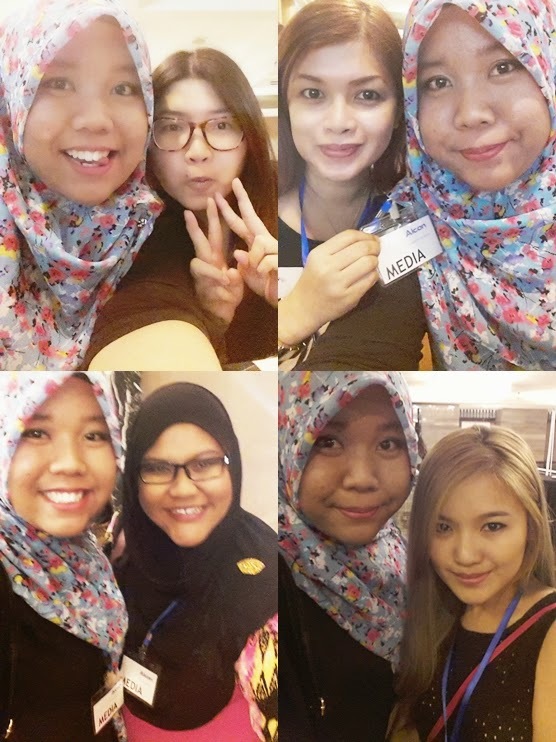 Thanks Butterfly Beauty Blogger and Pat Lin for invited me! Selfie di tandas sangatlah wajib sekiranya lighting dan condition sangat best dan bersih! Yang aku dapat maklumat, harga untuk sekotak daily disposal selama sebulan, harganya lebih kurang RM 130.00 untuk sebulan. Bagi aku, berbaloi sebab ada 30 pair of lenses dalam sekotak tu. Korang boleh dapatkan di Eyecon, The Gardens, Mid Valley bermula Oktober 2014. Ataupun di kedai-kedai cermin mata yang terpilih, So, cecepat dapatkannyaa! Keseluruhannya, event ni sangat best. Walaupun event ni sekejap je, tapi, yang penting di sini ialah networking dengan rakan-rakan blogger yang lain. Bukan senang nak kumpulkan blogger yang handal-handal di satu tempat. Bagi yang bertanyakan bagaimana Scha dapat peluang sebegini, boleh lah klik gambar kartun butterfly di ruangan sidebar. Khusus untuk perempuan sahaja okay. 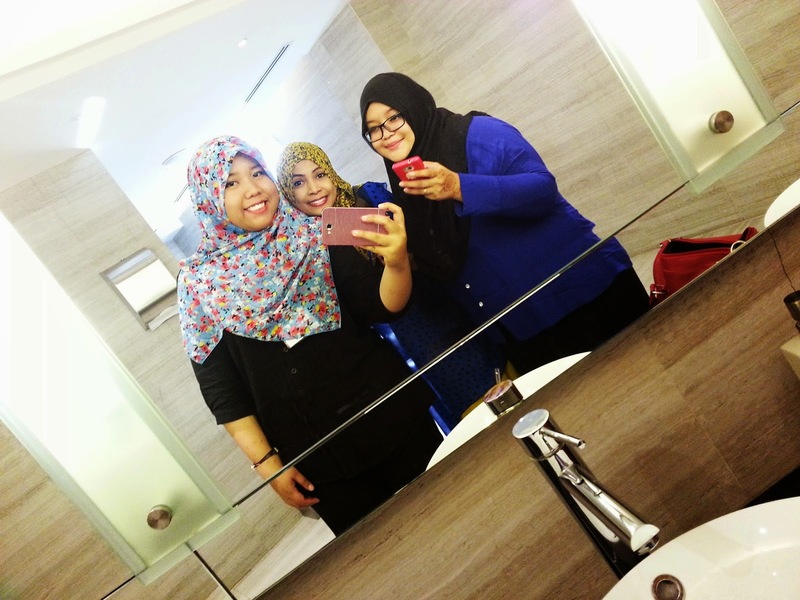 Sebab ini ialah projek kecantikan untuk para blogger wanita. Haa gitu. 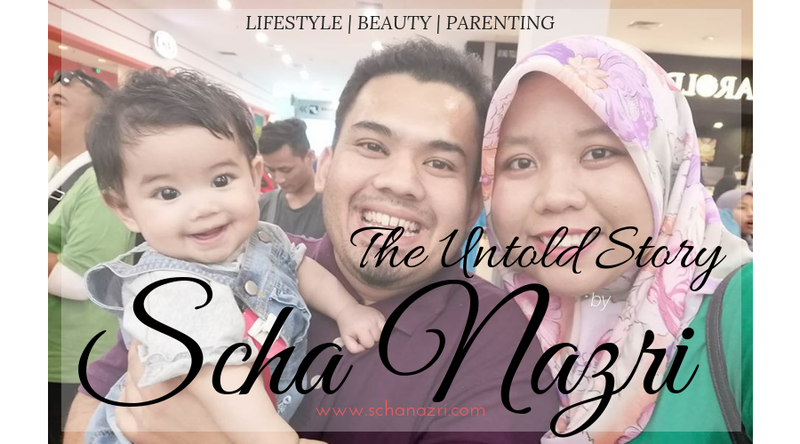 wah event review produk nampak..
smakin fames la kak scha kita dlm arena blogging.. good review nice sharing pngalman..eh napak a few blogger yg dah familier p blog diorg..
Dah try ke? Akak belum try lagi.. Macam membazir pulak nak try pakai tapi duk umah jer.. Tunggu outing gi memana nanti baru leh try.. Haha!